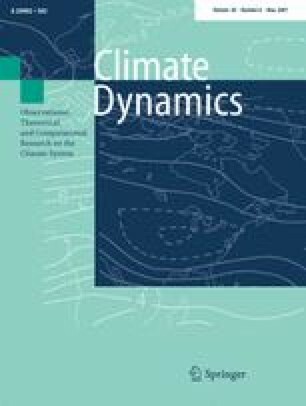 A new complex earth system model consisting of an atmospheric general circulation model, an ocean general circulation model, a three-dimensional ice sheet model, a marine biogeochemistry model, and a dynamic vegetation model was used to study the long-term response to anthropogenic carbon emissions. The prescribed emissions follow estimates of past emissions for the period 1751–2000 and standard IPCC emission scenarios up to the year 2100. After 2100, an exponential decrease of the emissions was assumed. For each of the scenarios, a small ensemble of simulations was carried out. The North Atlantic overturning collapsed in the high emission scenario (A2) simulations. In the low emission scenario (B1), only a temporary weakening of the deep water formation in the North Atlantic is predicted. The moderate emission scenario (A1B) brings the system close to its bifurcation point, with three out of five runs leading to a collapsed North Atlantic overturning circulation. The atmospheric moisture transport predominantly contributes to the collapse of the deep water formation. In the simulations with collapsed deep water formation in the North Atlantic a substantial cooling over parts of the North Atlantic is simulated. Anthropogenic climate change substantially reduces the ability of land and ocean to sequester anthropogenic carbon. The simulated effect of a collapse of the deep water formation in the North Atlantic on the atmospheric CO2 concentration turned out to be relatively small. The volume of the Greenland ice sheet is reduced, but its contribution to global mean sea level is almost counterbalanced by the growth of the Antarctic ice sheet due to enhanced snowfall. The modifications of the high latitude freshwater input due to the simulated changes in mass balance of the ice sheet are one order of magnitude smaller than the changes due to atmospheric moisture transport. After the year 3000, the global mean surface temperature is predicted to be almost constant due to the compensating effects of decreasing atmospheric CO2 concentrations due to oceanic uptake and delayed response to increasing atmospheric CO2 concentrations before. This work was performed in the project CLIMCYC, funded by the DEKLIM program of the German Ministry of Education and Research. Arne Winguth is supported by NASA grant NAG5-11245 and the UW Graduate School Research Funds. The simulations have been performed at the “Deutsches Klimarechenzentrum”. Comments by Erich Roeckner, Matt Howard and two anonymous reviewers helped to improve the paper substantially. Norbert Noreiks helped to prepare the figures. where c a (=3 × 106 Wsm−2 K−1) represents the effective heat capacity of the lower troposphere. The first term on the right hand side is a linear damping with a coefficient of 2 Wm−2 K−1 representing the weak radiative negative feedback on large-scale surface temperature anomalies. The horizontal exchange is entirely diffusive with a diffusion constant A h of 2.5 × 106 m/s2. The third term represents the heat loss of the anomalous air temperature to the ocean. The bracket assembles terms stemming from anomalies in the air–sea heat flux due to changes in ocean conditions relative to the conditions where the original heat flux has been calculated. The values follow Stone and Miller (1980). The behaviour of this equation has been discussed in detail in Marotzke and Pierce (1997). Equation 5 for T a is solved implicitly. The freshwater and momentum fluxes from the previous synchronous integration periods are used without further modifications. Using the forcing of only 1 year repeatedly would lead to a strong model drift in the ocean only periods due to rectification processes and to an unrealistic variability in the ocean due to the ocean being exposed for a long time to anomalies stemming from interannual variability. In order to represent both the mean climatological forcing and its variability reasonably well, several years of data have to be used repeatedly. Whereas the representation of the mean and variability becomes better with increasing number of years, this introduces an artificial delay in case of changing climate, too. Experiments showed that an archive length of 8 years seems to be the minimum length in order to obtain an acceptable approximation of the mean climate and variability without large artificial model drift in the ocean-only simulation periods. Two different approaches have been used for the length of the ocean-only periods. The simplest approach uses fixed lengths of the synchronous and ocean-only periods. In this paper, we used alternating periods of two synchronous years and eight ocean-only years. Compared to the fully coupled model this is 4.7 times faster. An alternative approach yielding an even higher reduction in computer time involves an interactive calculation of the length of the ocean-only period from the actual state of the ocean. The model is switched into the fully synchronous mode with atmospheric GCM only when SST and sea ice properties are very different than the ones used for calculation of the atmospheric forcing. As this involves a yes/no decision for a rather complex problem, thus some subjectivity is unavoidable. The anomalous air-sea heat flux is used for calculating this criterion. The quantity chosen to calculate is a global mean of the squared anomalous heat flux. If the sum over the time since the beginning of the ocean-only period, where older values are discarded with an e-folding time of 1 month, exceeds a cut off value (in this study: 3,600 W2m−4), the surplus is added to a final cut off criterion. If this exceeds another predefined cut off value (in this study: 360 × 3602 W2m−4), the ocean-only integration is stopped and the atmospheric forcing is calculated again interactively by the atmospheric GCM. The second variable was introduced in order to guarantee that only long-term mismatches in ocean surface conditions lead to a stop of the ocean-only integrations and to make the response function more stiff. This approach allows to choose the weighting between the potential inaccuracies and artificial delays and the required computer time. In any case, strong changes in air-sea heat flux, especially at the sea ice edge, switch the mode of integration and the atmospheric GCM is switched on more often. Ocean-only periods without substantial change in oceanic surface conditions can reach a predefined maximal length (48 years in this study). For the land vegetation model LPJ and for the ice sheet model SICOPOLIS a similar approach is adopted, but the decision for a potential end of the simulation period without atmospheric GCM is made in the ocean model. During the periods of fully interactive coupled simulations, atmospheric forcing data for LPJ and SICOPOLIS are stored and used during the subsequent simulation periods where the ocean is driven by an energy balance model. The validity of this method has been tested by repeating some simulations with a fully synchronously coupled model. The results are discussed in Appendix 2. In order to be useful, the periodically synchronous coupling technique has to reproduce the climate of a fully synchronous integration, and it should only have a small effect on the transient behaviour of the coupled system. The climate of the 1,000-year fully-synchronous integration CTRLS differs only marginally from the climate of the 2,250 periodically-synchronous control integration CTRL. The difference in climate of the surface temperature between the two experiments is shown in Fig. 21a. Positive values of up to 0.2 K are simulated in the northern subtropics; negative values with a peak value of 0.6 K in the Southern Ocean. These deviations are related to the long-term variations in the formation of AABW and the resulting changes of the MOC in the oceans. For comparison, the standard deviation of 1,000-year means of calculated from a 10,000 year long control run without interactive ice sheets is shown in Fig. 21b. The differences between the climates of the fully-synchronous and the periodically synchronous integrations exceed only in few places one standard deviation of the long-term variability. For the first 1,000 years of the synchronous and the periodically synchronous coupled simulations, the difference in the global mean SST is 0.01 K, but fluctuations of 1,000-year means in the 10,000-year integration with fixed ice sheets show peak to peak fluctuations of more than 0.15 K.
In order to test whether the periodically synchronous coupling technique induced any artefacts on the simulated climate signals, one part of experiment A2_1 was repeated with a fully synchronously integrated model. The simulation A2_1S covers the years 1901–2500, and thus the entire period with strong changes in the surface conditions. Comparison of the different time series for the synchronous A2_1S integration and the periodically synchronous A2 simulations shows that the synchronous integration has very similar behaviour as the periodically-synchronously coupled integrations. This is true for all oceanic quantities like, e.g. global mean near surface air temperature, ocean heat uptake, and time series of meridional overturning (see Fig. 11). There is a slight delay introduced by the periodically synchronous coupling, especially for the collapse of the NAMOC. Whereas the forcing of temperature seems to work quite well with the energy balance treatment, there is a systematic delay in the application of changes in atmospheric moisture transports, as the data in the archive correspond to years with lower temperatures and CO2 concentrations. As a consequence, the periodically-synchronous coupling leads to a delay of roughly two decades with respect to the response of the system to changes in atmospheric greenhouse gas composition, which can be seen most clearly in the biogeochemical components of the model (see Fig. 19a–c). The collapse of the NAMOC shows the same superimposed multidecadal oscillations for all A2 experiments, an indication that the dynamics of the transitions are treated adequately in the periodically-synchronous case. The CO2 concentration in the atmosphere in the periodically-synchronous simulations is slightly lower than the synchronous simulation (up to approximately 50 ppm around the years 2300–2500). For the periods without calculation of an atmospheric GCM in the periodically-synchronous coupling, the land vegetation model was forced with somewhat too low temperatures during the period of rapidly rising atmospheric temperatures (because of the forcing with climate data from the archive), and took up slightly too much carbon. A similar delay can be seen in the ice sheet model. However, the focus of this paper is on centennial to millennial scale changes and the bias from the coupling technique is, for most parameters, within the error bars set by natural variability. Thus, we conclude that the coupling technique is appropriate in order to address the objectives of this study.